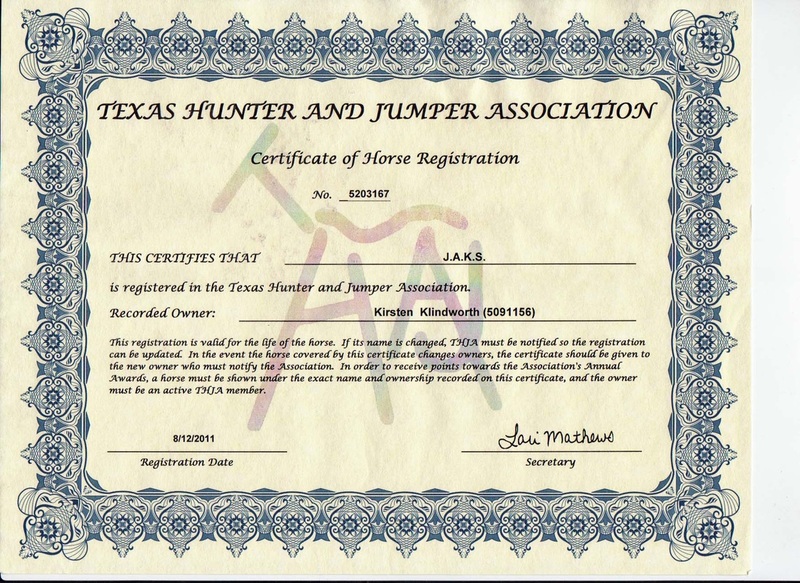 JAKS - J.A.K.S is Reserve World Champion at Jumping and Hunter Hack as well as many Top 5's and Top 10's. 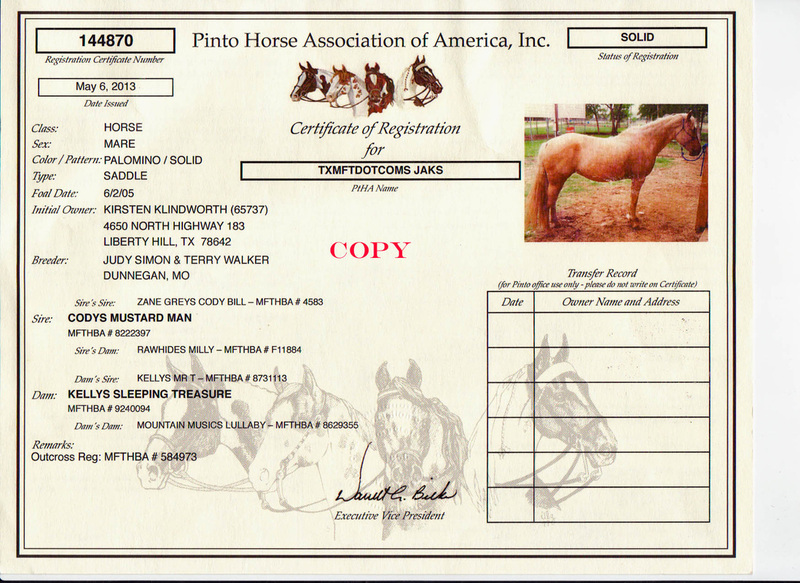 She is a lovely 15.1 hand palomino MFTHBA (Missouri foxtrotter) mare. JAKS is set in her gaits and a pleasure to ride. She has a great mind. 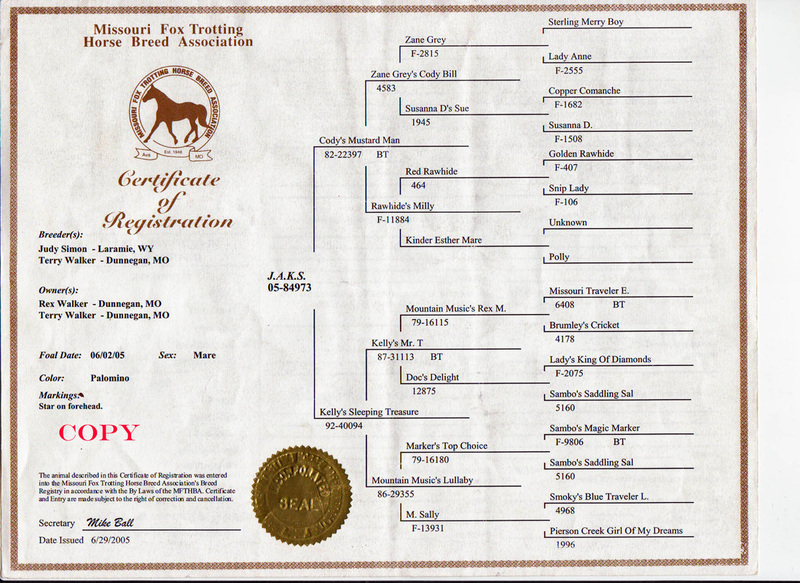 JAKS foxtrots and is oh-so-sweet and calm. She is much darker gold than this picture shows and is dappled. She can jump 4 feet and has a lot of heart. She is a gorgeous, amazing, athletic gal. JAKS won reserve champion at Hunter Over Fences at the National Spring Show at Ava Mo, placing 2nd to Ms T. JAKS also won 1st place at Hunter Over Fences at the Gaited Gala and many top 5's. There is not a bumpy bone is JAKS's body ( as you can tell by the videos). She is a cadillac all the way and all of my trainer's favorite horse to ride. She is light on the bit and a joy to handle. She is also a very loving horse. She LOVES to have her cheeks scratched. She is one of the greatest horses I have ever known. She would make a lovely kids or novice jumper as well as win USEF shows with an experienced rider. She will do a regular walk, running walk, regular trot and amazing canter. J.A.K.S. 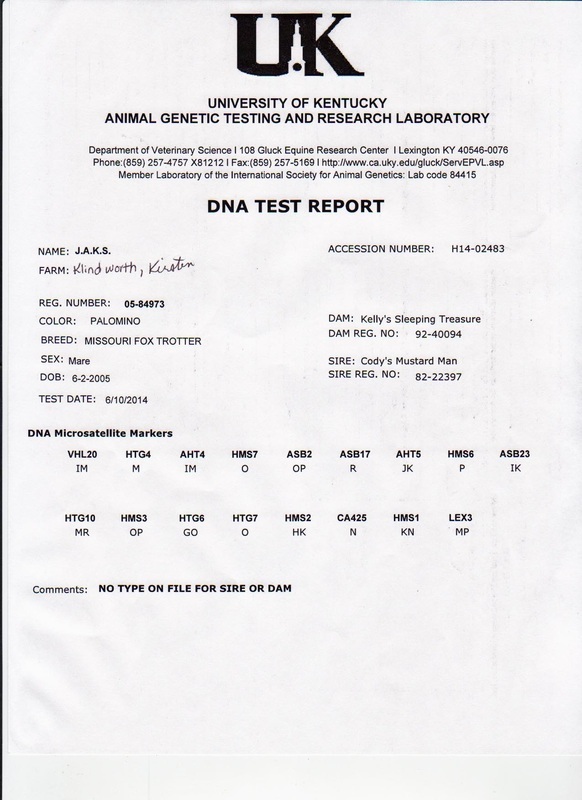 is checked in foal to Tucker for a May 2014 foal. 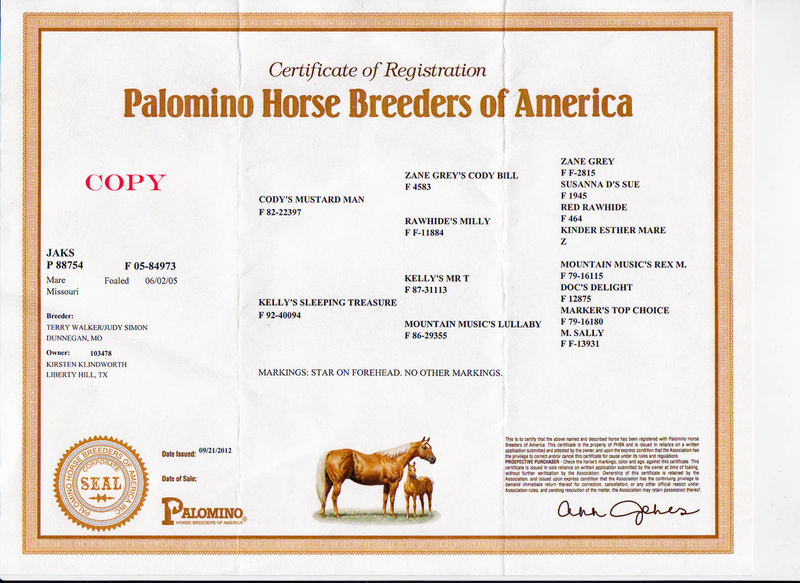 She is a registered MFTHBA, Pinto, Palomino, and lifetime USEF and THJA.